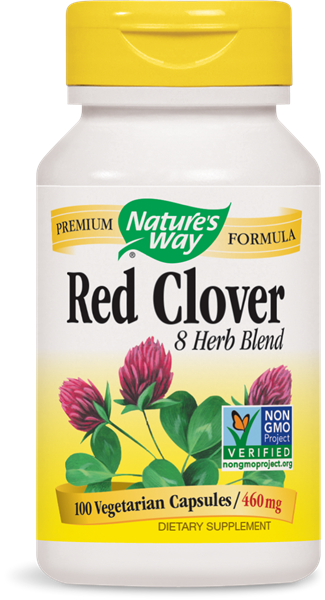 Red Clover Combo / 100 Caps - Nature's Way®. Do not use if you are pregnant, nursing, attempting to become pregnant, have high blood pressure or cardiovascular disease. Not recommended for individuals with autoimmune conditions. Persons with allergies to plants of the Asteraceae (Compositae) family including ragweed should use this product with caution. If you have diabetes or are taking any medications, consult a healthcare professional before use.